The runway and NYFW debuts are in the rear view. Now it's time to think about real life and the actual customer that is the lifesblood of a brand. Kanye West's Yeezy Season 3 landed and the collection is a bit more colorful than the super similar, monochromatic looks of Season 1 and 2. Then, there was the exclusive and custom Balmain for Yeezy outfits that the Kardashians and Jenners wore while in attendance at the NYFW show. If you dig West's turnt up take on basics, you're asking yourself a critical question right now. How much will Yeezy Season 3 cost? Well, previous seasons offered $700 sweatshirts, which is, like, some people's annual wardrobe spend. That's not exactly, you know, affordable for working people without a ton of disposable income. But West hinted that the new season might be more affordable for stylish fans on a budget. Last month, West was approached about the outrageous prices of Seasons 1 and 2, which featured tattered and torn garments with price tags over two grand! He told a TMZ cameraman, who bemoaned the fact that he can't afford the clothes, this: "We're gonna get them lower, we're gonna get them lower," finishing, "Next season." There you have it! Let's add up the facts. 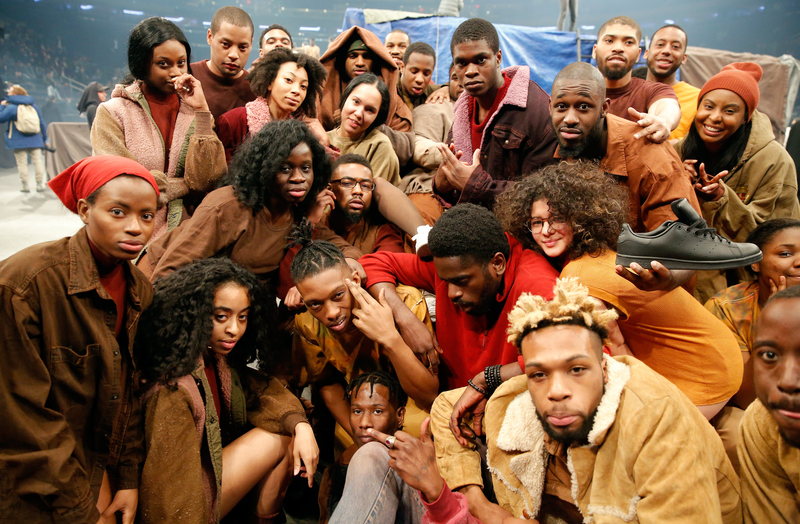 Yeezy Season 3 is here. Earlier this year, West went on record saying that future season prices would be more affordable. So when Yeezy Season 3 is finally shoppable, fans should expect lower price tags, right? One can only hope West doesn't backtrack or fail to make good on his words. He should be stoked that people on the street want to wear his designs. Give the people what they want, 'Ye. Make it happen! We have faith! And while you're at it, how about upping production of the impossible-to-get Yeezy Boost 350s, too? It's all about supply and demand. You have a dedicated following. Don't leave 'em hanging.